The Muslim Council of Sri Lanka (MCSL) has strongly objected the statement made in Parliament by the Minister of Justice Wijeyadasa Rajapakshe about the Muslim community. The minister has implied that 32 Muslims have joined the ISIS recently. Issuing a statement today MCSL president N M Ameen said: “We strongly object to this misplaced statement. The facts given by the Honourable Minister were reported in the media more than one year ago when a Sri Lankan combatant died fighting with ISIS”. He has pointed out that there have been no new reports of any others involved since this was reported last year. “It is believed that one family had gone to Syria to provide humanitarian support to the war wounded and refugees. Some of the men are alleged to have joined or forced to join the fighting forces of ISIS. The Muslim community, including the Muslim Council, Jamiathul Ulema and other organizations cooperated with the government in identifying the families to provide the necessary support for the intelligence agencies to investigate. Those who have gone to Syria as quoted by Hon. Rajapakshe include women and children.” he said. Amen said: “Hon Wijedasa Rajapakshe’s statement comes at a very opportune time to certain extremist elements bent on tarnishing the image of the Muslim community for reasons only best known to them. The Thableeq Jamath, Sunnath Jamath, Thowheed Jamath and Jamaithe Islam and several other organizations are all Muslim religious and social service organisations. “They do not promote any form of violence as implied by Hon. 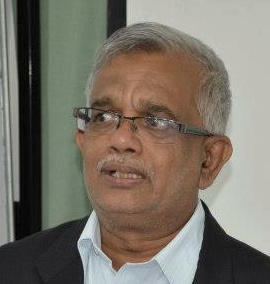 Wijedasa Rajapakshe. Certain parts of his statement are verbatim of the hate speech spewed by the extremist priest Ven. Galagoda Aththe Gnanasara Thero. “The Muslims of Sri Lanka has a long history of peaceful co-existence and have stood with the Sri Lankans at good times and at times of adversity. The entire Muslim community has condemned the un-Islamic comments of the Secretary of the Sri Lanka Thowheed Jamath, Abdul Razick. 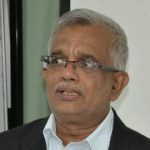 Twenty-three Muslim Religious and Civil Society organizations headed by the All Ceylon Jamiathul Ulema issued a statement condemning the speech made by SLTJ’s secretary. “A little known fact that did not attract any media attention in July 2013 was that the All Ceylon Jamiathul Ulema and Muslim civil society intervened in court in support of Ven. Soranathota Chandrarathana Thero who filed action and pleaded with the magistrate to sentence Abdul Razick and six others with maximum punishment. This is something that we would do irrespective of race or religion as we would expect from our governments in power. “As alleged by the Hon. Minister, no Muslim international school invites extremists to indoctrinate its children with fundamentalism. Such has been the language of certain countries who created terrorists out of Madrasas in Pakistan to achieve their own ends. We urge Hon. Wijedasa Rajapakshe to provide the evidence and take immediate action against anyone may have violated the laws of the land irrespective of ethnicity or religion. BTW -Pen should not be used to lie . What has the Koran got to do with yo8u trying to drag us into your LTTE resuscitation ? She may be an Indian Moor ,(Rizana) in her case it may be correct ,but to call them low cast , how to you explain that ? or is it your culture ? or upbringing >? or you are just a dickhead? We are Ceylon Moors until Proven by DNA ,Nothing is going to change that so keep ranting as Much as you want , including Wikipedia scholarships. There is a saying You can take a horse to the water but cannot force it to drink. It is the same with you and many other Muslims stubbornly and shamelessly keep on stating that you are Moors and not Tamils, despite ample evidence to prove that Sri Lankan Muslims are Dravidians from South India. Just like Siva states ” a little bit of Arab or other blood does not make you Arab or Moor” . This was a incorrect classification by the Portuguese only referring to your religion. “Sri Lankan Moors are not a distinct or self-defined people and the word (Moors) did not exist in Sri Lanka before the arrival of the Portuguese colonists. The Portuguese named the Muslims in India and Sri Lanka after the Muslim Moors they met in Iberia. Moreover, the term ‘Moor’ referred to only their religion and was no reflection on their origin.” courtesy Wikepedia. Genetic studies done on all Sri Lankans have proved that basically they all are the same people very closely related to the Dravidian population of South India and the South Indian Muslims. Unless you can prove the contrary and provide DNA proof We are not prepared to believe that you are Moors. It may be safely argued that, the number of original settlers was not even more than a hundred. Again courtesy of Wikipedia. Everything points to an immigrant South Indian Tamil origin with a few families having a distant Arab origin. Unless proved to the contrary, You are Tamils, largely low castes ( no insult) who converted to Islam. Not going to argue and debate with you any more as it is pointless, as you will keep on stubbornly insisting that the Sri Lankan Muslims are not Tamils and not Moors under silly and stupid concocted identities. Rohan – you are entitled to your opinion , unfortunately you are not willing to give me the same privilege , The say prejudice dies hard. All I am saying is today in a modern world Even history can be disproved by DNA. show me proof by my DNA am a Tamil and I will happily accept it. Bering a Ceylon Moor is my birth right ,you need to get it into your head, without scanning through my comments be fair and read it contextually and try to understand my point of view. Give each man his benefit of doubt. You may be a Tamil or Sinhalese because that is the birth right bestowed upon you , will you accept if some some randomly write in Wikipedia that you are a low cast whatever, when you have the great scientific privilege of proving exactly what your ethnicity is by DND? why this venom and bias? one rule for you another for me? I am willing to come anywhere you demand me to if you are willing to pay for my DNA test only at a world recognized and approved health Clinic and if my test comes out as Tamil ,I will officially go ahead and declare it in my Birth certificate and publicly too. Call yourself by anything you like, even Snow White if you want to and be anything you want. That is your privilege and no one is stopping and can stop you. After all what is in a name ” A rose can be called by any name” if I can quote Shakespeare but you still remain a rose, even if you are now called a primrose or a daffodil. However neither you nor anyone can deny the truth, that the Muslims of Sri Lanka or Sri Lankan Moors as they fondly like to call themselves. Pathetically clinging on to the incorrect name that the Portuguese gave them and the rest of the South Asian Muslims, that has now been discarded by other South Asian Muslim communities, have very little Arab and no Moorish blood in them at all but are 99% descended from largely low caste immigrant Indian Tamil Hindu converts to Islam. Trying now to act look and behave like Arabs and give Arabic sounding names and denying discarding and distancing yourself from your actual Tamil origins and culture does not fool any intelligent person. There is this a common English saying” if it looks like a duck and quack likes a duck then it is a duck and not anything else.” This is what Muslims in Sri Lanka are. Everything about them reeks of Tamil and South India however much they deny this and act like Arabs. Arabs have called the Sri Lankan Moors as low caste South Asian converts but they still insist that they are Arabs. Shows how desperate and pathetic your community is with no shame or self respect. Roahan and Tamil unreal sena And ,you may have to do the same , too at your expenses , like to know what ethnicity you real are , sha if we both are low cast Tamils how nice man , we may even be related. Remember we are all born naked and for sure we will die naked , we come with nothing and leave with nothing. When death comes ,you loose even your name and your race , not even your own kith and kin will be willing to accompany you , Hence race Sinhalese,Tamil or Moor matter ? just be ready ,death is always in a hurry , death does not make appointments ,no ,no even with Kings. So just live and let live.. Yes live and let live but tell the truth when you live, instead of a lie and false heritage. If it is not an issue why lie about your origin and heritage in the first place. When caught come out with all this useless philosophies to justify your lie. For one ,more desperate time to get you out of your delusional sate of mind. why depend on Wikipedia, and random baseless and give up ones birth ? Is it OK to use Wikipedia as a source? Try to at-least now be more Human after all the bloodshed you and your entire people have been the cause ..
No, it’s not al Qaeda or Hezbollah or even HAMAS. The group is called the Liberation Tigers of Tamil Eelam (LTTE) or the Tamil Tigers for short. needless TO SAY, i FOR ONE AS A Minority ,i NEITHER WANT TO BE AN HYPOCRITE NOR AN UNGRATEFUL WRETCHED BEING , WHILE I AM NOT GOING TO SHY AWAY FROM CONDEMNING HON.MP(&Ex President) MAHINDA RAJAPAKSHE for not stopping the hate attract indiscriminately and unjustly against my community when he he could have stopped with all the power he had ,I am not ashamed to bow my head in true and deep respect for the man’s effort in supporting and and fearless crushing the LTTE and freeing the country , if only he had done the same with racism ,bigotry and united the people as one using wisdom and sincerity ,without miscalculating and stopping fear mongering . Please cleanse your heart,and do not expect me to waste my valuable time and my high vat added bandwidth on a lunatic like you anymore ,you may keep ranting Muslims are Tamils as much as you want, that is what normally delusional people do. Needless TO SAY, I FOR ONE AS A Minority ,I NEITHER WANT TO BE AN HYPOCRITE NOR AN UNGRATEFUL WRETCHED BEING , WHILE I AM NOT GOING TO SHY AWAY FROM CONDEMNING HON.MP(&Ex President) MAHINDA RAJAPAKSHE for not stopping the hate attacks indiscriminately and unjustly against my community when he could have stopped it with all the power he had ,I am not ashamed to bow my head in true and deep respect for the man’s effort in supporting and and fearless crushing the LTTE and freeing the country , if only he had done the same with racism ,bigotry and united the people, as one using wisdom and sincerity ,without miscalculating and stopped the fear mongering . Today we would be marching straight to a first world country in south Asia sub-continent. Even USA president candidates have learned from Sri Lanka to use bigotry and racism to win and then go back on their words. The Karavas or Karaiyars and the Negombo Chettis of Tamil speakers in Sri Lanka do not identify themselves as ethnic Tamils at all. .